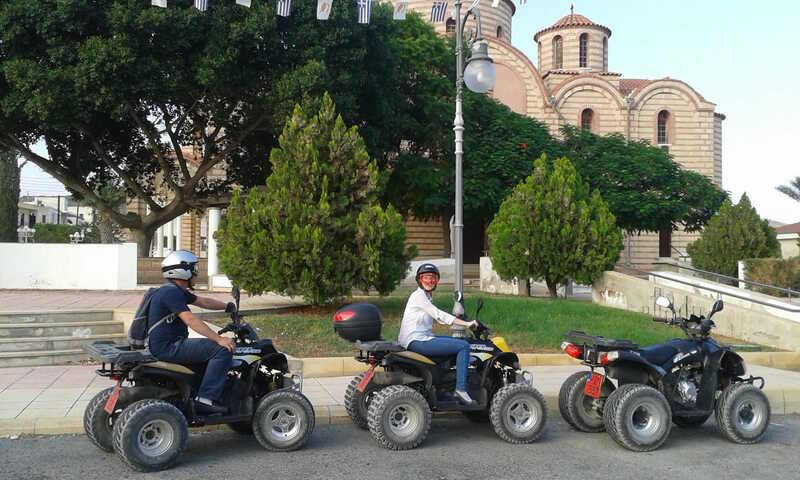 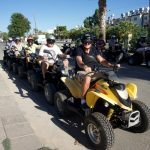 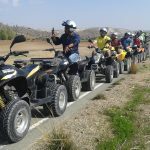 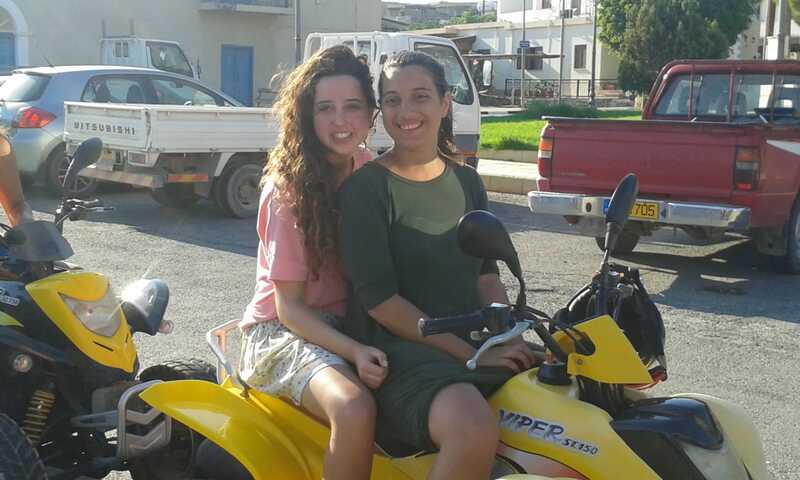 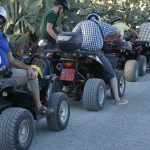 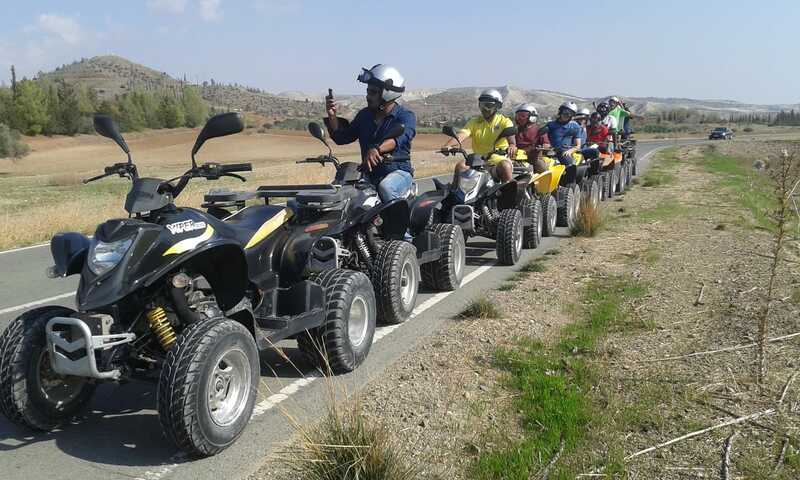 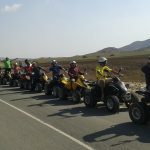 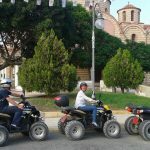 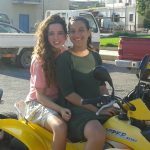 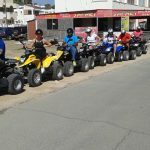 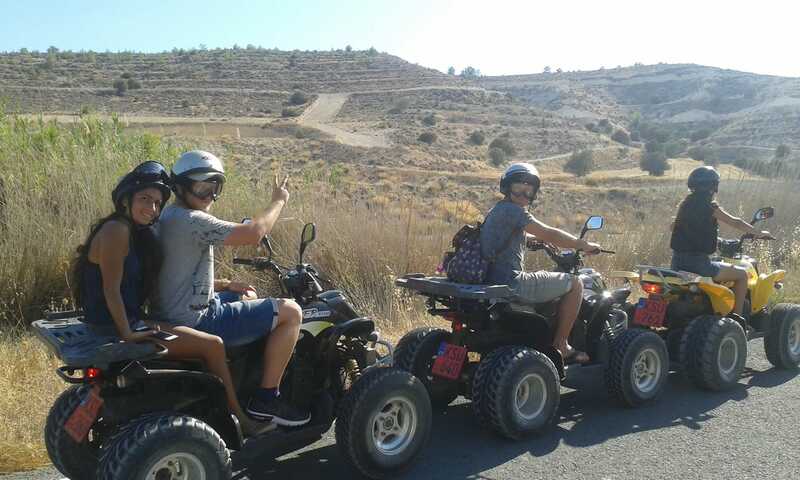 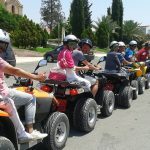 Quad Bike Safari – Quad biking activities and ATV Tours in Cyprus. 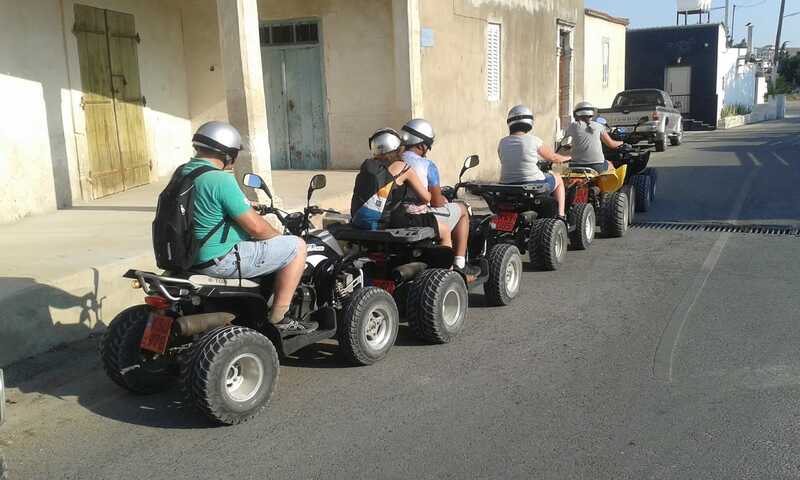 Rent a Scooter, ATV, Bike or a Buggy. 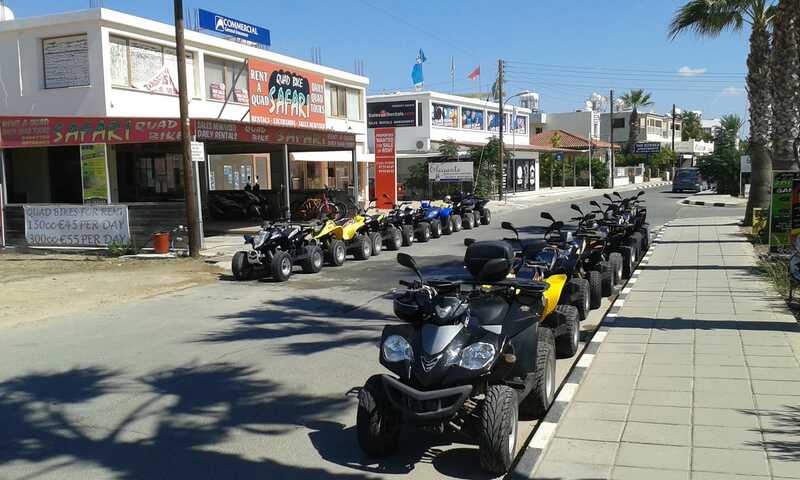 Whatever your choice for adventure, we got you covered. 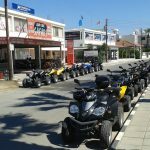 Quad Bikes (ATVs), Buggies, Scooters & Bicycles available for hire. 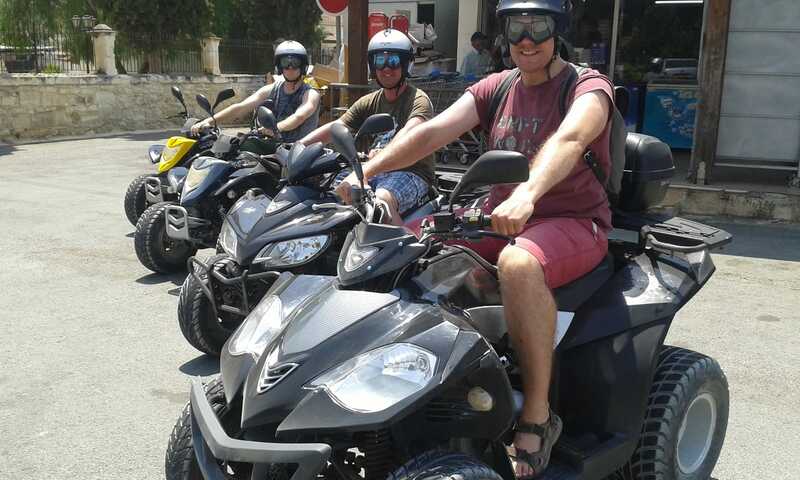 Fully loaded with awe-inspiring fun. 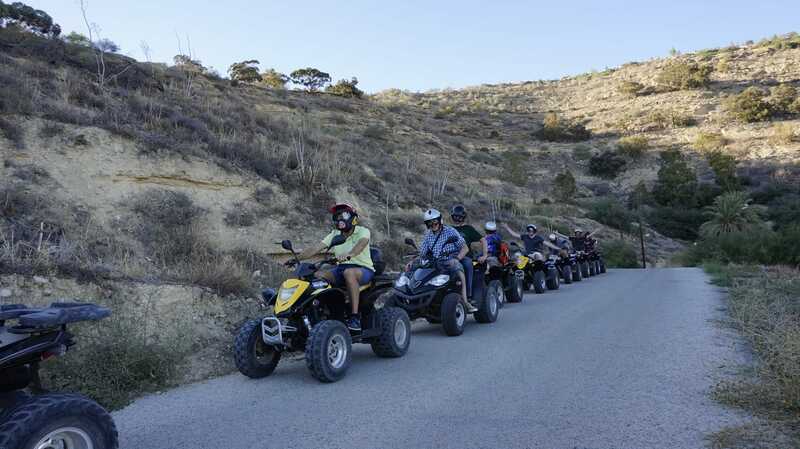 Immerse yourself into the stunning scenery Cyprus has to offer. 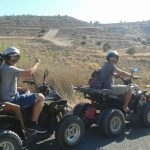 Turn your stay in ​Cyprus into an adventure that you will not soon forget. 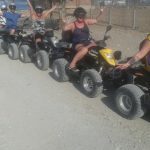 A first class tourist attraction offering tailor made safaris/treks excitement and adventure for all age groups in a dream location with stunning views, surrounded by bars, restaurants and hotels. 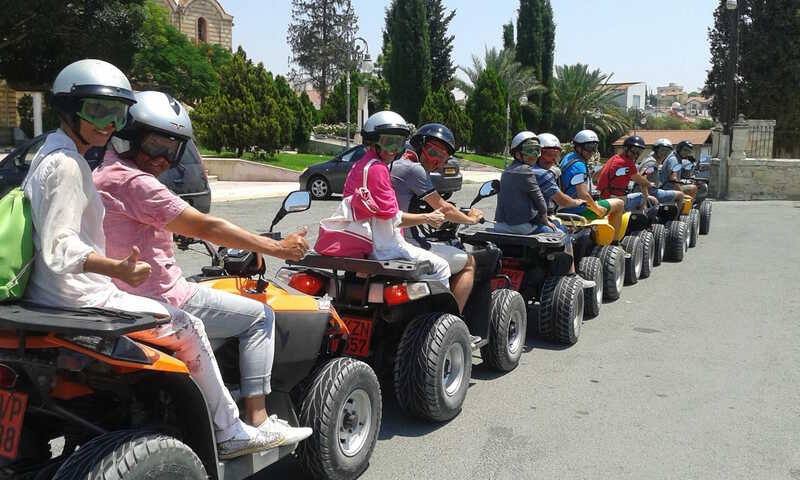 Next to the serene shore of the Mediterranean, with hours of quad biking treks through pine scented terrain that changes so quickly it gives the rider all kinds of challenges on their self driven quad bike. 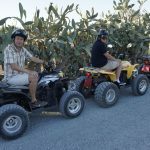 Our safari excursions are guided around Pyla village, Xylotymbou village, Troulli village and Oroklini village overlooking the picturesque Larnaca Bay with breath taking panoramic views. 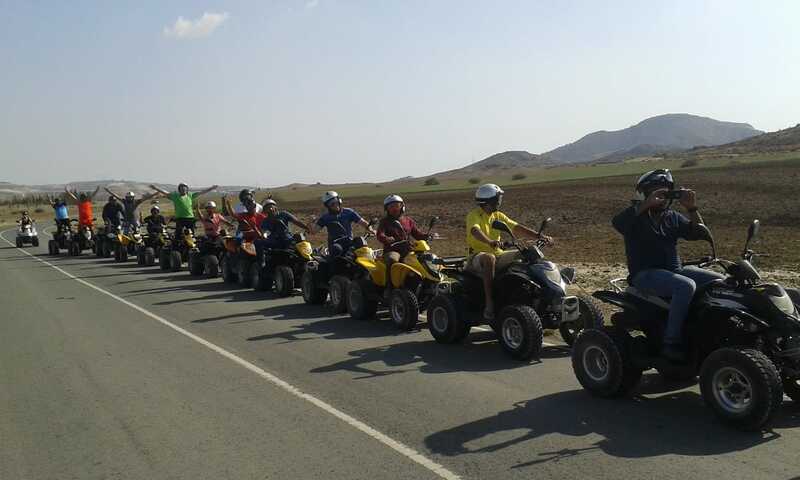 Firstly our instructors will provide you with all the relevant safety equipment then everybody will be shown how to operate our quad bikes followed by a short safety briefing and circuit practice. 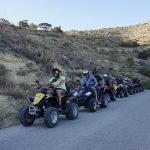 Once we are satisfied you will be led off into the hills riding through the hidden beauty of Cyprus on a 2 hour tour giving ample time to explore the beautiful untamed countryside. 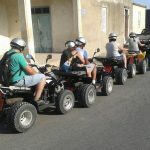 On tour we will be covering over 40km of various terrains riding through traditional villages, pine scented forest trails, mountain treks, farms and countryside on an awe-inspiring and relaxing safari tour which can only be achieved with a self-driven quad bike and ensuring groups of all ages an experience of their own adventure! 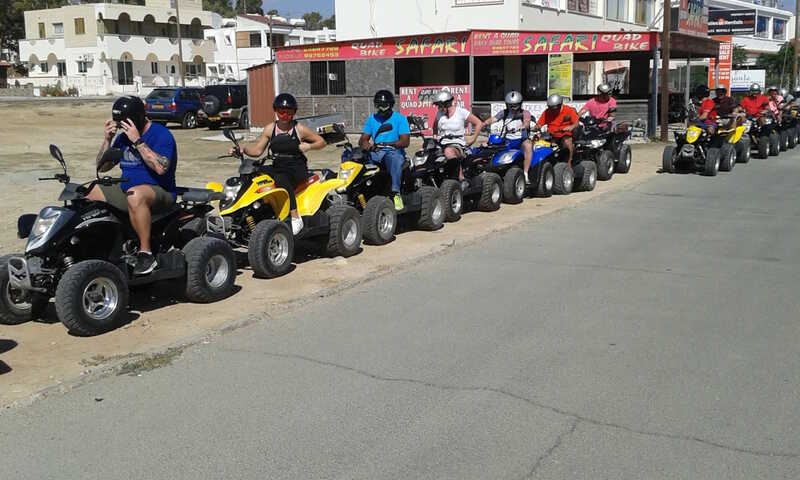 Here at Quad Bike Safari we also offer quads, buggies, scooters and bicycles on a rental basis. 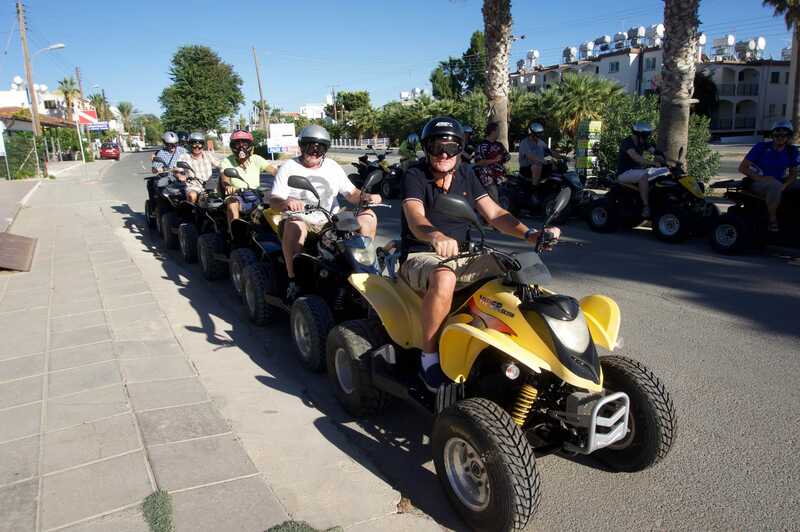 All our vehicles are very well maintained and reliable vehicles in excellent condition. 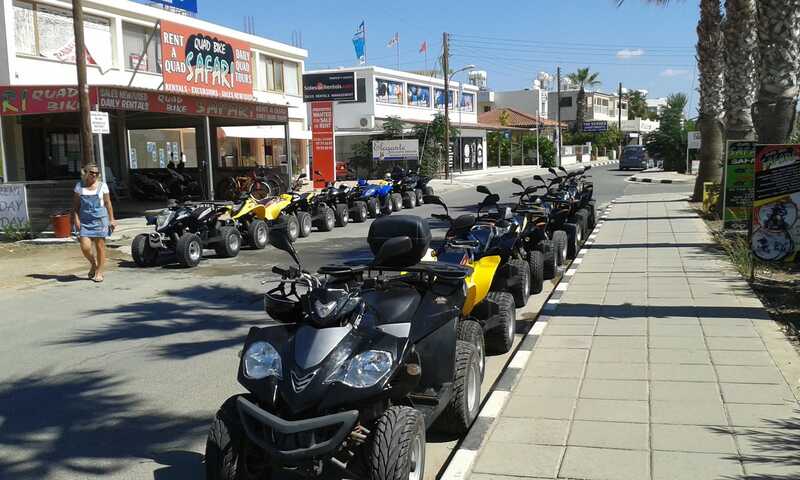 From 125cc to 300cc we are sure we can suit our customers needs. 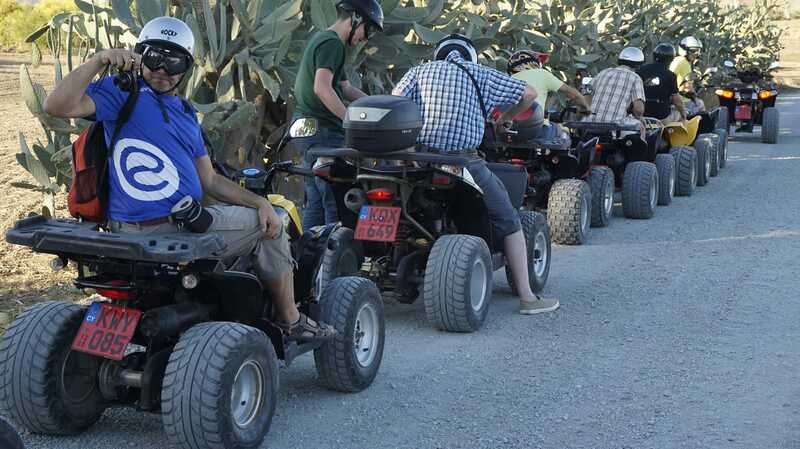 You can also rely on our 24 hour breakdown service and if necessary we will replace your vehicle as soon as possible. 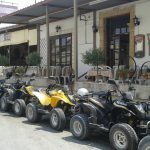 Welcome to Larnaca’s premier Watersports Center! 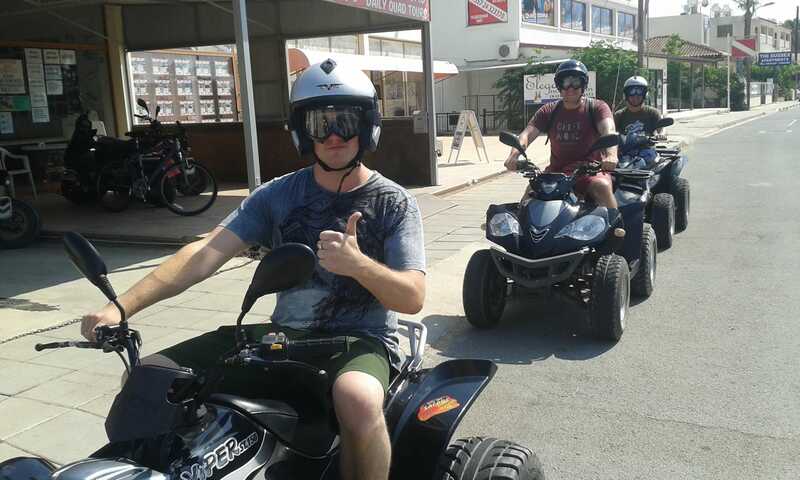 Whether you are an adrenaline junkie, a daredevil or a quiet type, WE have something for YOU! 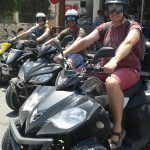 We offer: Jet Ski rentals, parasailing, banana rides, crazy squab (UFO) rides, Fly-Fish, speed boat rentals, power boat instructions, water ski / wake board tow and lessons, sailing boat rentals and lessons, canoes, pedalo, wind surf & kite surf, mini cruises, scuba diving and many more…. 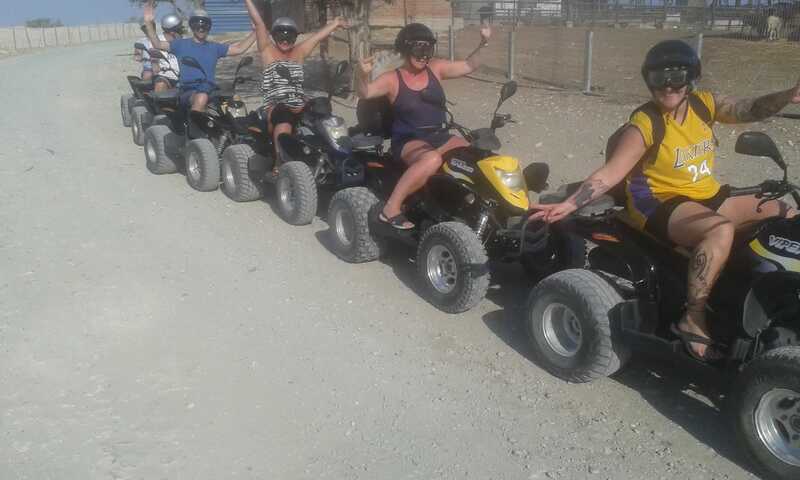 You can be sure we will put a smile on your face. 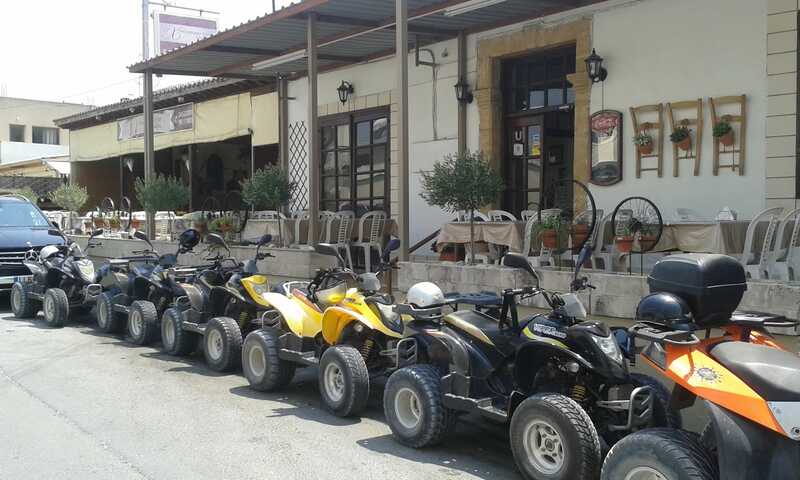 Welcome to Viking Divers in Cyprus, one of the first PADI 5 star Dive Centers on the island. 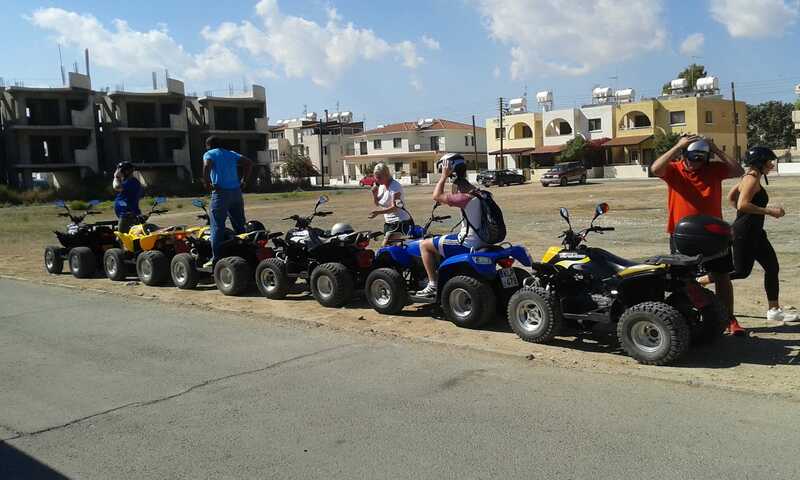 Viking Divers are operating since 1993 in Larnaca Bay at the southern area of Cyprus near the British base in Dhekelia, 10km away from the Larnaca International Airport and a few meters away from the seaside. 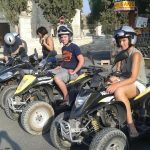 Our main priority is to pass our diving skills on to you with safety and fun at the same time. 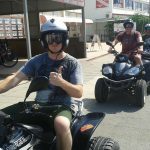 All our instructors are certified professionals by PADI and all the equipment are up to date regarding the service date. 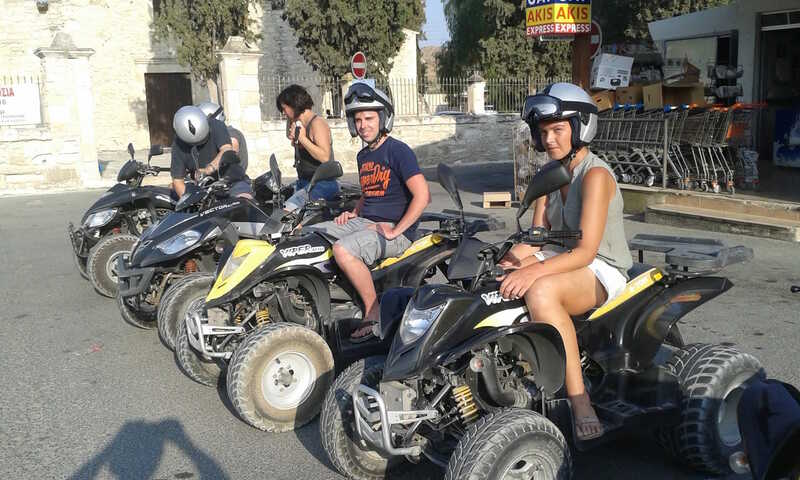 The instructors know many languages, so you will fully understand everything you need to know about diving. 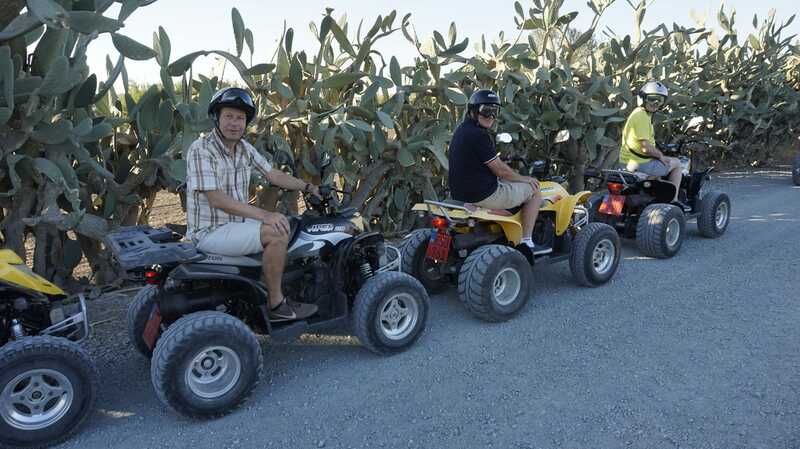 When do you wish to pick-up your chosen vehicle? 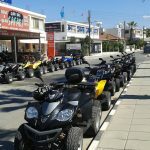 How many days do you want your chosen vehicle for?